The atmosphere was palpable in the kitchen as the dishes were being plated at the main course round of Great City Chefs. Our judges were expecting a wild guide through global food culture but instead the chefs in this round went for a more classical approach. 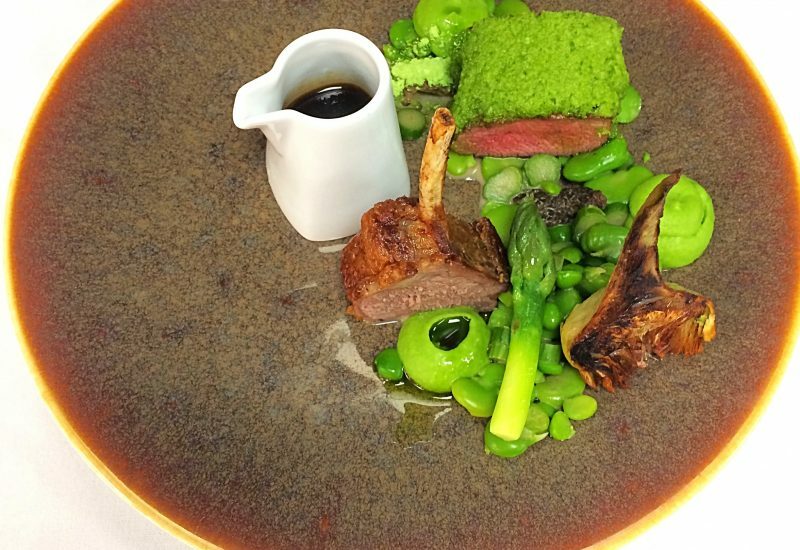 The first dish presented to the judges was Roasted Herdwick lamb, pea curst, morels, asparagus and a red wine jus. Matt, the dish’s creator was inspired by the Lake District, the plate was full of colour and our judges were exciting to eat the dish as it landed on the table. Next up we had the traditional Hereford beef and bordelaise sauce but with a twist of an oxtail & anchovy Pastilla. The bordelaise was dubbed the sauce of the competition, a high accolade! 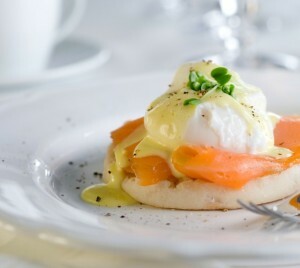 This dish was created by One Moorgate Place and was a move away from their other creations for this competition. 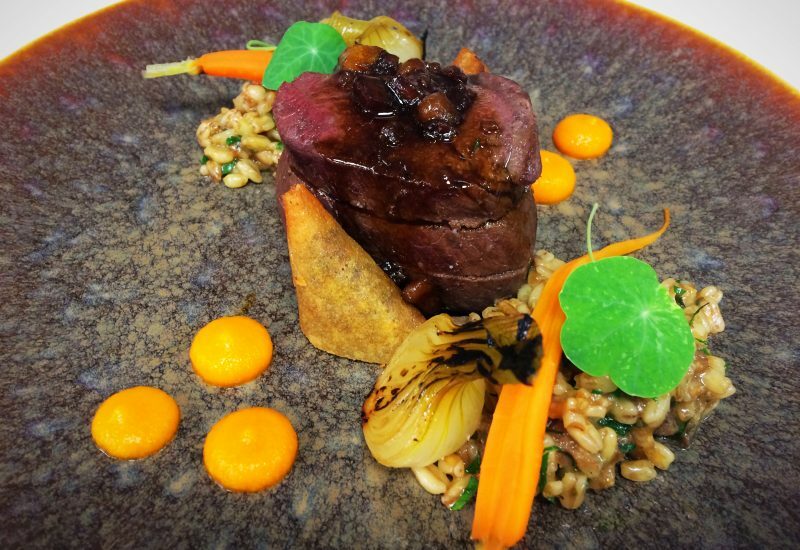 Our other lamb dish of the competition came from 30 Euston Square celebrating the feeling of summer BBQs, time spent with friends and beer gardens. 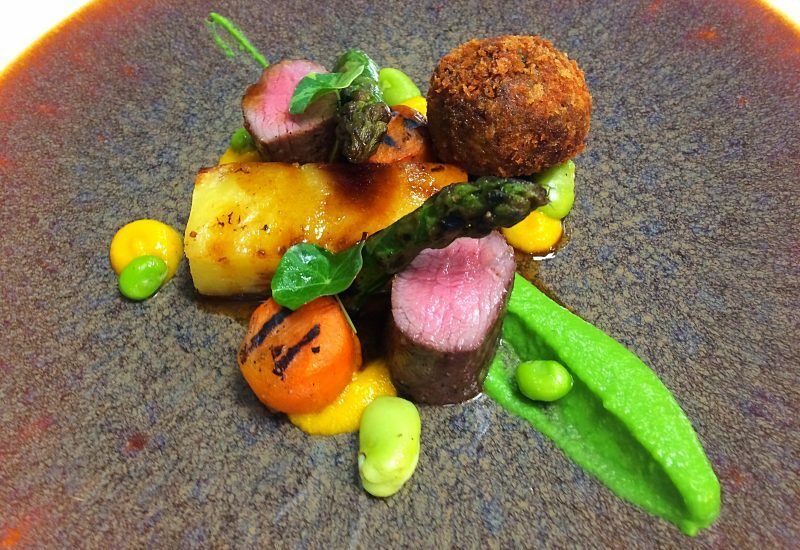 Daniel created Summer lamb, chard, Wye valley asparagus & carrot. Our judges loved this dish, with its barbecued elements and quintessentially summery ingredients, it embodied British summer time (without the rain!). But the winner? 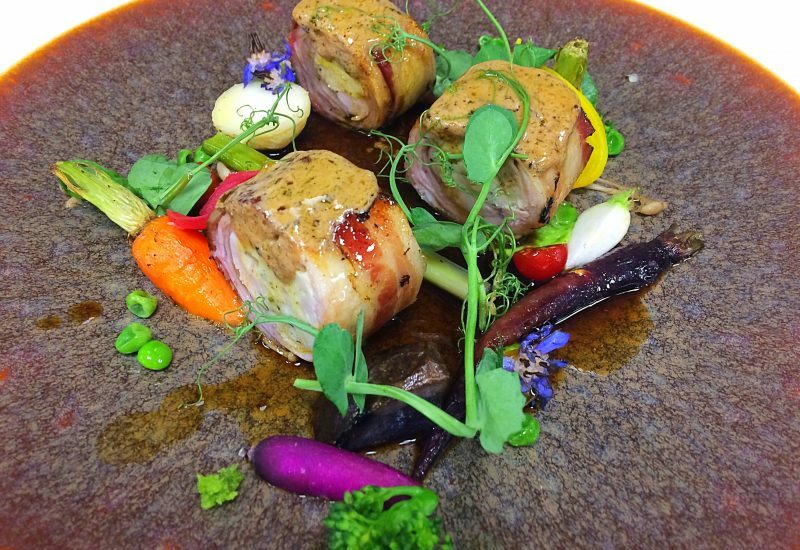 A controversial choice from our judges; stuffed and pancetta wrapped rabbit saddle, summer garden peas, pea puree, liquorice liver napage created by Emily and Frederico from Excluive Events . One of our judges had never tried rabbit before so was uncertain but was completely converted by this truly modern and thought provoking dish. 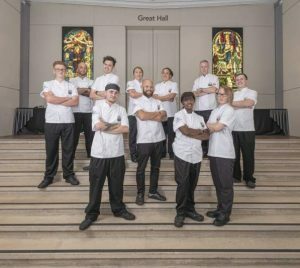 We can’t wait to reveal this dish to our diners at this year’s banquet and see their reactions as it definitely wasn’t a safe choice by our judges! What does the menu look like so far?